A survey grade real-time differential GPS system was installed for dedicated use at Toolik Field Station (TFS) on the north side of Alaska's Brooks Range. The Trimble 5700 receiver system meets the emerging demand for centimeter-level surveys, and is capable of both real-time and post processed surveys. The real-time capability increases the system versatility in proximity of the station (for example it allows for stakeouts of pre-determined points), while the post-processing capability using Trimble Geomatics Office software extends the system radius to over 100km from TFS. UNAVCO purchased the system and provided initial installation and training support, while the Toolik GIS staff will handle day to day operation and support. The system is similar to the Barrow GPS survey system, which has been used extensively since 2002. 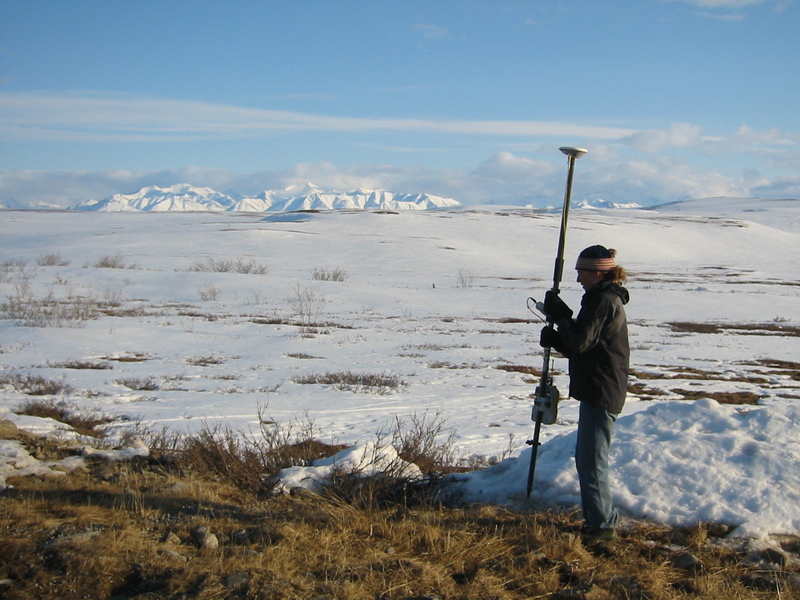 The Toolik Lake field study area has a long history of science research, primarily in biology, ecology, and hydrology. Science applications of the new GPS system include topographic surveys of watersheds, measuring stream channel transects, and obtaining ground control points to be used with remote imagery. Survey grade data are also irreplaceable as a means of preserving the value of legacy field data collected as they are incorporated in a comprehensive GIS dataset. The survey grade datasets act as an archive of locations so that these same research plots can be identified at any time in the future, even after conventional plot markers like pin flags and stakes have been removed or destroyed. The data also ensures that future investigators can reuse these sites long after current projects are concluded. The system will also be used for facility planning and monitoring. The capacity to easily re-survey the station facilities, which are under constant construction and renovation, allows for better planning and communication among station management, agency representatives and contractors.